Paris (AFP) – A pregnant passenger on the Paris metro has been hit with a 60-euro fine for walking the wrong way, sparking outrage on social media. “Bravo for this racket,” her partner wrote sarcastically on Twitter, alongside a picture of her printed penalty notice. 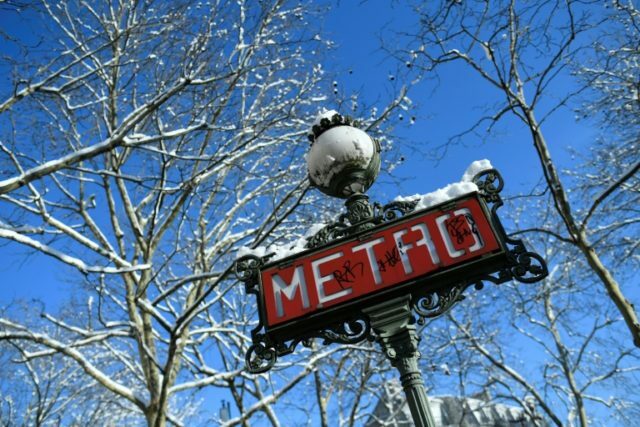 The Paris metro operator RATP stood by the penalty, a spokesman telling AFP on Saturday the one-way systems are clearly marked and are aimed at avoiding “incidents” and controlling the flow of people. However, he added the tickets for such offences were “infrequent” and it is up to the RATP inspectors to apply them or not. Michel Babut from the leading passenger group FNAUT branded the fine “completely stupid”, adding the rules need changing. “It’s a total aberration,” he told AFP.